You heard their “MUSIC IN THE STREET” while “SEARCHIN’ TO FIND THE ONE!” They were RADIO STARS from the era when you had to SOUND GOOD BEFORE you could be SEEN! They are STILL PROFESSIONALS in the RECORDING INDUSTRY with a formidable credit list of performances with the WHO’S WHO from YESTERYEAR to TODAY!! 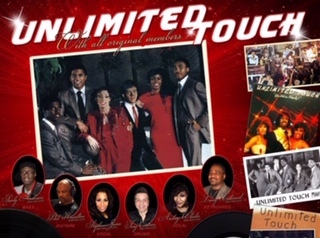 TRENDING between the “VINTAGE” and the “COOL”, we PROUDLY PRESENT, UNLIMITED TOUCH! !